Make sure you check out the 3D tour in Virtual Tour 1!! ** This FORMAL MODEL HOME has been recently renovated** Renovations include ROOF, KITCHEN with GRANITE COUNTERS, TILE BACK SPLASH, STAINLESS STEEL APPLIANCES; ENGINEER HARDWOOD FLOORING, CARPET, PAINTED inside and out, TILE in the entryway and patio, outside A/C unit and the LIGHT FIXTURES. Living room has VAULTED CEILINGS, FIREPLACE, and BUILT-IN SHELVES. Master bedroom features VAULTED CEILINGS. Master bathroom has DUAL SINKS, SEPARATE SHOWER and SOAKING TUB, and WALK-IN CLOSET. Other interesting features are the LOFT and SCREENEN IN PATIO. All of this is on an OVER SIZED CORNER LOT sitting on a CUL-DE-SAC. It is within 2 miles of the new APOPKA CITY CENTER that will have 207,000 sqft of restaurants, shops, and office space. As well as 11 acres is dedicated to a park, pond, and boardwalk according to The Apopka Voice. 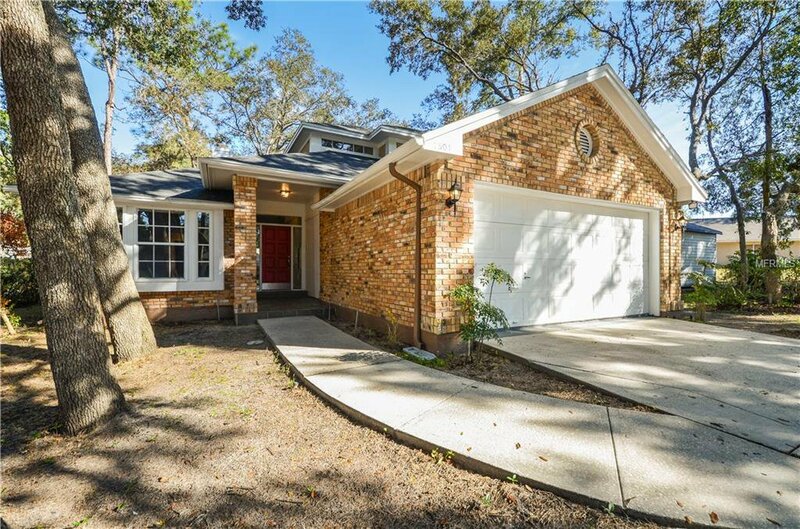 Also close to Rt 414 and Rt 429 for an easy commute anywhere around Orlando. Listing courtesy of FLORIDA REALTY INVESTMENTS. Selling Office: RE/MAX CENTRAL REALTY.